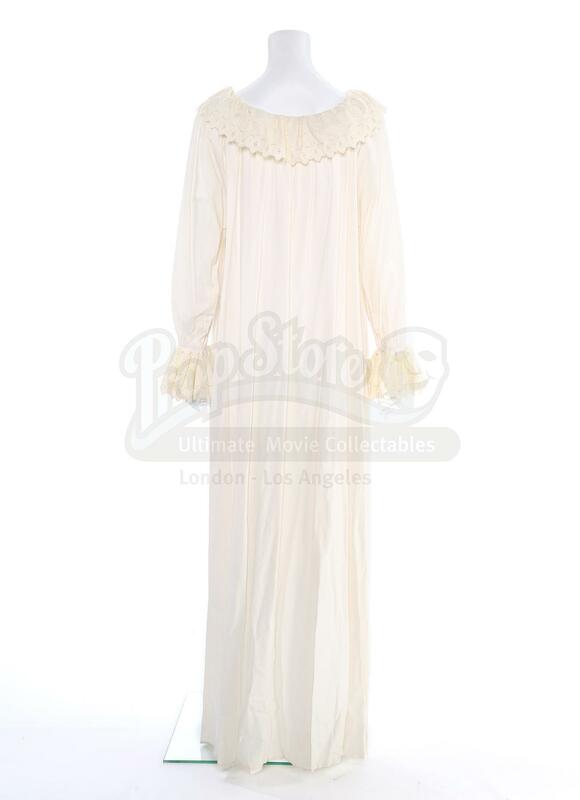 Angelique Bouchard’s (Lysette Anthony) 1790s-style nightgown from the gothic soap opera series Dark Shadows: The Revival. 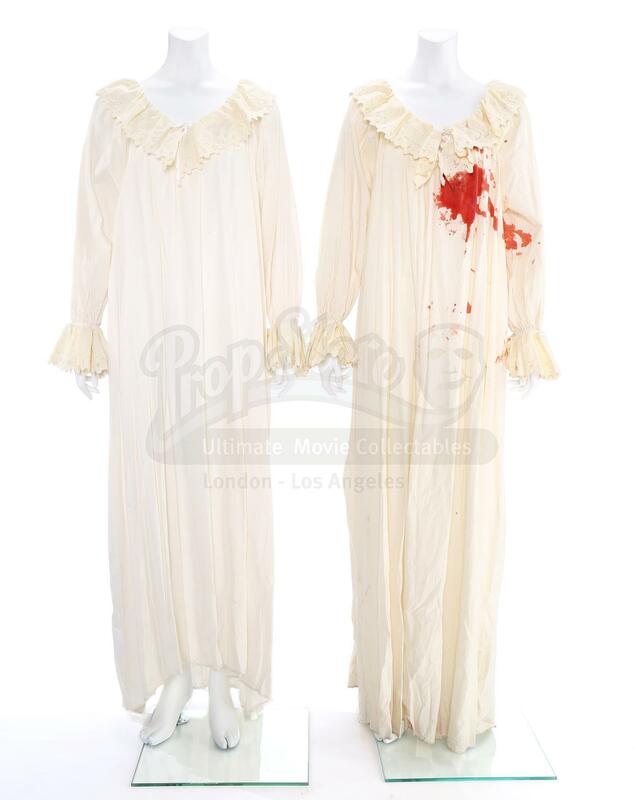 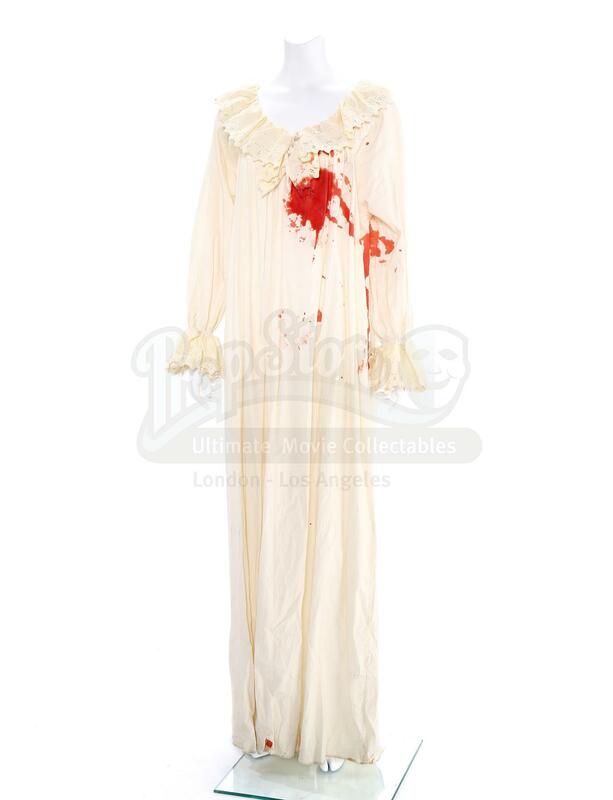 The lot consists of both a clean and bloody version of Angelique’s full-length ivory muslin nightgown each trimmed with eyelet lace at the neckline and cuffs and finished with a tie in the center. 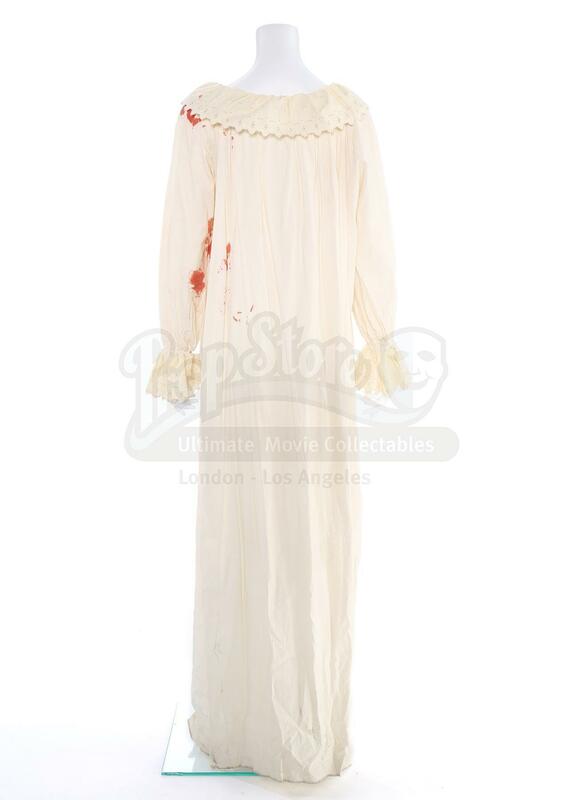 The nightgowns remain in very good, production-used condition overall. 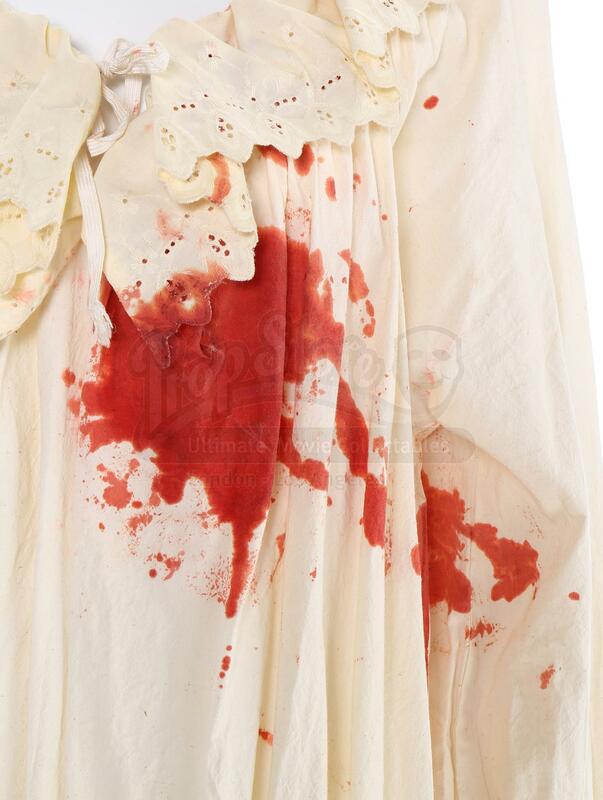 In ‘Episode 9’ (109), Angelique and Barnabas (Ben Cross) have a deadly quarrel, leading her to fall on her own knife while wearing her nightgown. 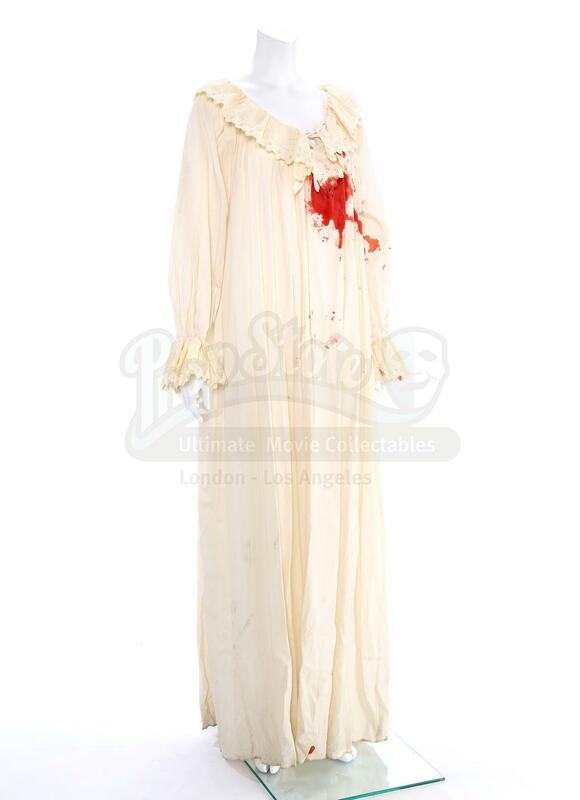 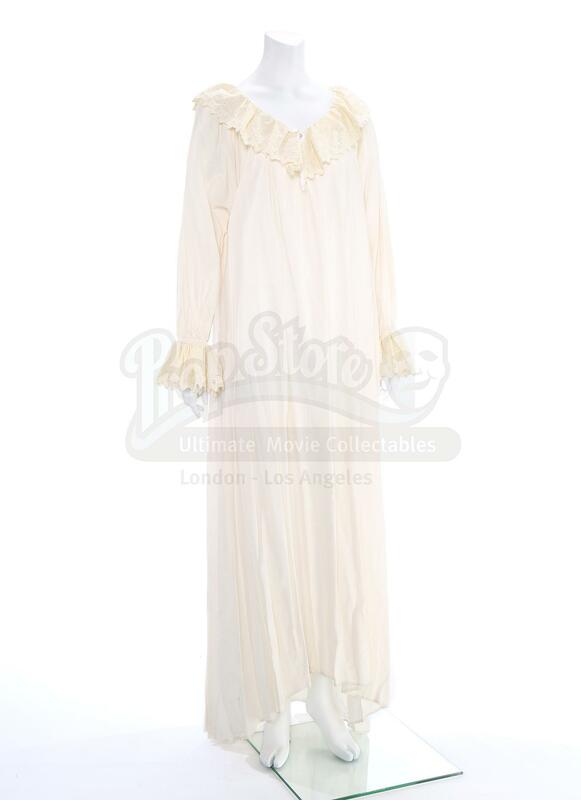 As the performance included stunt work, multiple versions of this nightgown were required.